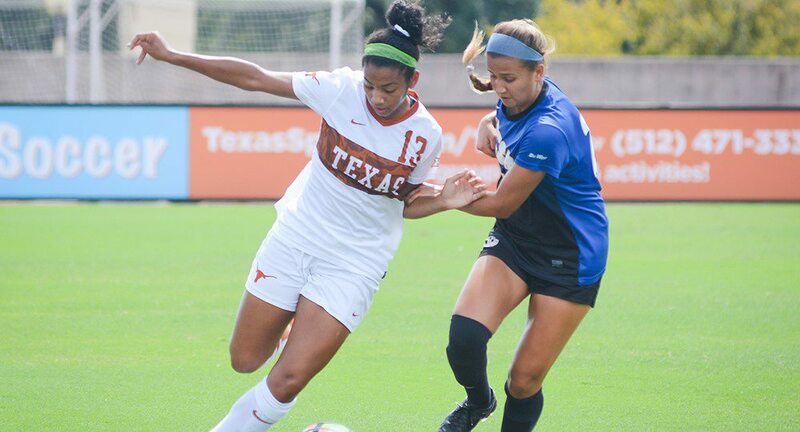 Sophomore forward Cyera Hintzen scored her team-leading fifth goal — and fourth game-winner of the season — in the 88th minute to lift the Texas soccer team to a 1-0 victory over last year's national runner-up: West Virginia (photo courtesy of texassports.com). AUSTIN, Texas — What already was the best start to a season in the history of the Texas soccer program added a signature victory over a marquee opponent when the No. 17 Longhorns knocked off No. 5 West Virginia, 1-0, at Mike A. Myers Stadium.